Java workloads are becoming more prominent on a wide range of computing devices. In contrast to so-called traditional workloads written in C and Fortran, Java workloads are object-oriented and comprise a virtual machine. The latter includes a runtime environment with garbage collection, Just-In-Time (JIT) compilation, etc. As such, Java workloads potentially have different execution characteristics from traditional C or Fortran workloads. 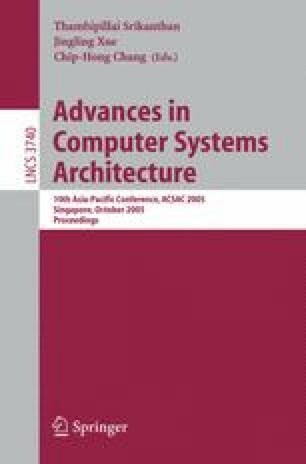 In this paper, we make a thorough comparison between SPEC CPU and Java workloads using statistical data analysis techniques and performance counters on an AMD Duron platform. In our experimental setup we use four virtual machines for the Java workloads running SPECjvm98, SPECjbb2000 and Java Grande. Our main conclusion is that Java workloads are significantly different from SPEC CPU and that the execution characteristics for which Java workloads differ from SPEC CPU, is subjective to the virtual machine; we can make a distinction between mixed-mode and compilation-only virtual machines.